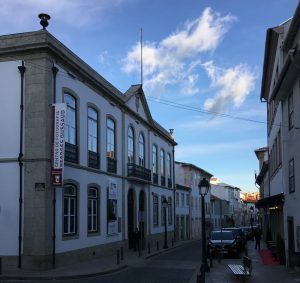 The third leg of our Portuguese road trip took place at the Centro de Fotografia Georges Dussaud in Bragança, where our team presented Ecological Footprint and biocapacity results for the municipality to an audience of slightly over thirty people. 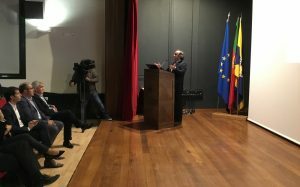 Bragança’s mayor, Dr. Hernâni Dinis Venâncio Dias, attended the event alongside other representatives of the municipal administration, educators, local media, and members of civil society. 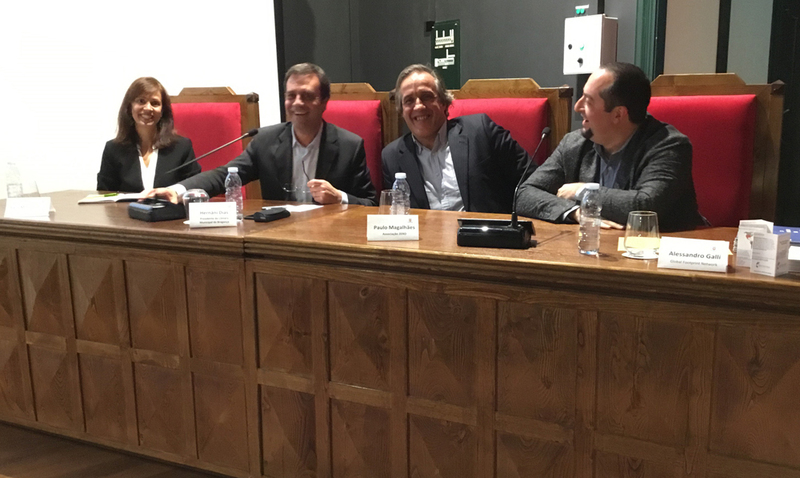 As he opened the event, Dr. Dias congratulated ZERO, Global Footprint Network, and the University of Aveiro for the innovative Footprinting project, stressing its relevance for the municipality. He also expressed high interest for the city Footprint calculator that will be developed next year, during phase 2 of the project. He was followed by Paulo Magalhães, city Footprinting project coordinator at ZERO (pictured right), who talked about the overall scope and phases of the project. Alessandro Galli, Global Footprint Network’s director of the Mediterranean program, then introduced the Ecological Footprint concept and presented metrics for the world and Mediterranean region. Ecological Footprint is 4.01 global hectares (gha) per person, slightly higher than the national average. Food represents the largest share of the Ecological Footprint (30%) followed by the transportation sector (20%). Biocapacity is one of the highest among the six municipalities involved in the study: 2.68 global hectares (gha) per person, more than twice the national average and well above the other cities presented so far (Almada and Lagoa). Bragança’s overshoot day is May 28. An animated debate followed. The importance of environmental education in school curricula, personal reflections on our role as individuals, and the importance of data and awareness in guiding our daily choices, emerged as the main issues that were discussed by the panelists and the audience. In closing the meeting, Mayor Dias (second from left below) stressed the importance of both technological improvements and behavioral changes. He also welcomed future collaboration with ZERO, Global Footprint Network and the University of Aveiro. From left to right: Sara Moreno Pires, Dr. Hernâni Dinis Venâncio Dias, Paulo Magalhães, and Alessandro Galli.